Is EDDM Really the Least Expensive Direct Mail Option? When it comes to EDDM, you may get a good postage rate for getting your piece in the mail, but what you have to be aware of is your direct mail piece has to be a Flat Size piece. What that means is you can’t do a regular postcard or letter size piece to qualify for that discounted postage rate. And Flat size mail pieces are generally more expensive to produce because they are larger sizes (must be over 6.25” high or 11.5” long to qualify). Another key thing to know is that you have to bundle your mail in groups of 50’s and actually deliver them yourself to the retail post office locations that distribute the mail to those carrier routes, unless you are doing projects of over 5000 pieces. A Carrier Route Saturation mailing on the other hand, allows you to use a regular postcard or letter size piece, while mailing your piece to an actual address through the regular mail stream. One aspect of EDDM that many people neglect is the inevitable fact that your company could essentially waste up to 10% of materials by sending to addresses that are vacant or are otherwise bad addresses. In an EDDM mailing, you are unable to remove any bad addresses or do not mail addresses, so you essentially waste money and resources by mailing to every home in the route. This could be avoided by using a regular Saturation list, in which you can remove bad addresses, do not mail records, businesses trailers and PO boxes, allowing you to hit a more defined market, at a cheaper postage rate. The EDDM program was designed for retail locations to get their information out to the closest neighborhoods around their location. In theory it is a cost effective tool to get your name out there, however it does not provide businesses a measurable ROI method. Because you can’t filter who you are sending to, you end up not mailing to a person but a house, which make it extremely hard to get a high ROI on your direct mail. Prospective customers respond to direct mail when it is relevant and personalized to them. The EDDM program does not allow you to do that with your marketing piece because every piece is the same in the mailing. Ultimately, EDDM is a good method for reaching every single mailing address in a given area, but that doesn’t mean it’s perfect for every situation. For all of your direct mail printing needs, consider Modern Mail and Print Solutions, where we make every effort to respond to all queries within four business hours. We always prioritize structure and accuracy, and we’re willing to work with all of our clients to give them the best customer service experience possible. For more information, contact us today. As many companies search for new ways to reach potential customers and prospects, the traditional methods of marketing are being replaced with online advertisements and technology-based techniques with the thought that it is more cost effective and produces better results. But, that isn’t entirely true. 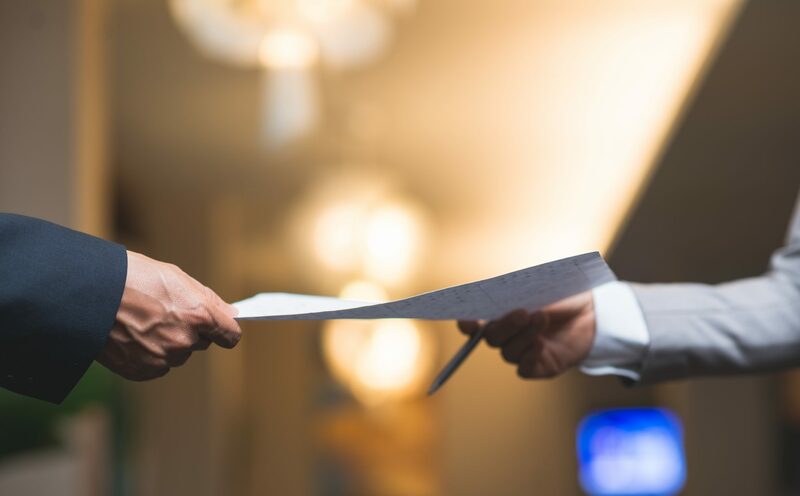 The truth is that Direct Mail is still the most consistently effective form of one on one advertising methods that businesses can use to get their message into a prospects hand. And the response rates on Direct Mail is consistently higher…Direct Mail response rates are on average at 3.7% (compared to .2% mobile, .1% email, .1% social media, and .02% internet display). Not only does Direct Mail produce higher response rates, but it also yields, on average, a 13-to-1 return on investment. Direct Mail is highly targeted and allows you to identify your specific type of prospect you want to do business with, and send your message to them. By looking at your current client base and identifying certain characteristics, direct mail providers can help you target those potential prospects in your geographical area that best looks like your current clients. Then you have the ability to tailor each mail campaign, message and offer for that specific audience. Customers can receive mail that only offers information that meets their specific individual needs and buying habits, increasing the likelihood of a purchase. In addition to direct mail having the ability of providing more relevant information for the customer, direct mail pieces can be customized to include names and other personal information for the prospect. This information means that customers are more likely to see your mail piece and to read it, especially if the offer is geared to meet their needs and wants. And since mail is tangible, they are holding it in their hands. The can feel it, and thus are more likely to keep it if they don’t have the immediate need. Customers often view things they can hold and feel as more reliable. Direct mail can be incredibly cost effective when you view it from a return on investment comparison. You’re capable of sending out as little as 200 targeted mailers or hundreds of thousands if that is what you need. Utilizing printers with both digital and commercial printing presses allows you to get your direct mail produced both easy and affordable. Plus, with bulk mailing capabilities there are tons of ways to save on postage costs to keep your mailings affordable. Direct Mail has a deep history and a proven track record in marketing. The technique is established and widely used in the past, but with new advancements and capabilities, response rates have increased over the recent years. There is sufficient data that exists to demonstrate its effectiveness. These are just some of the benefits of working with printing companies to create ad campaigns with direct mail. If you have any questions regarding this method of advertising, please feel free to contact us at Modern Mail. Digital marketing might seem like the be-all, end-all in such a technical era, but the truth is that sometimes traditional methods can be effective, too. In fact, digital printing services and direct mail can be extremely beneficial to you in more ways than one! 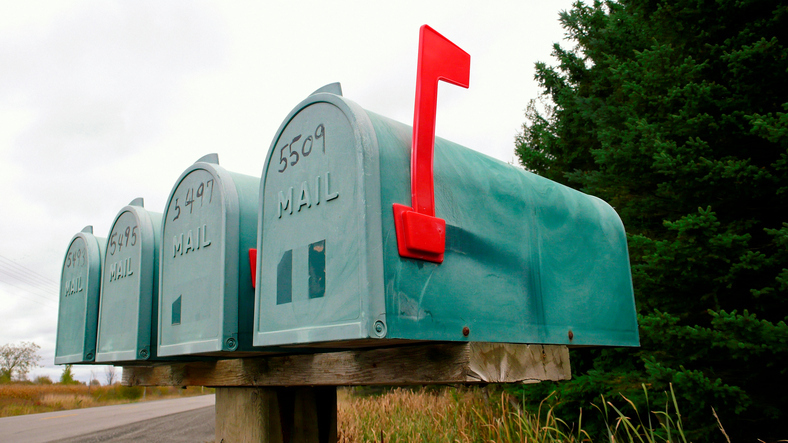 Here are just a few of the many benefits that come with direct mail marketing. One of the biggest advantages of a direct mail marketing campaign is how targeted you can be with who you are sending to. As a business owner, you can use geospatial data to learn what your current customers and potential customers look like and are buying. Then you have the ability to send direct mail materials specifically to them…making your message 100% more relevant to their needs. When you’re working with online ads and social media, there’s no guarantee that you target audience will actually even see your advertisement. Getting your mail in the right person’s hands is only the first step of direct mail marketing. The ultimate goal is to connect with customers through the content you’re mailing them. A successful mail piece will have customers welcoming your services to their dinner table. 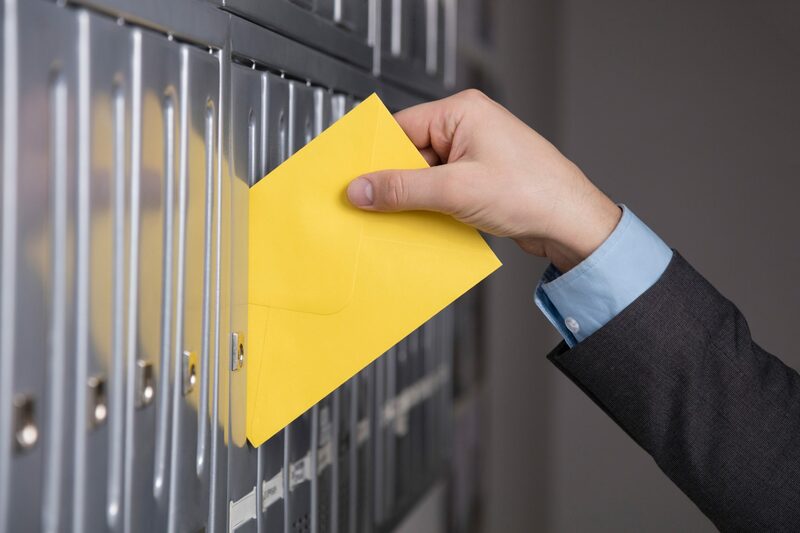 Direct mail simply allows a greater physical connection than email, and it allows for even more customization in terms of layout, content and offer, allow your marketing piece to be more relevant to the recipient. One of the best things about a direct mail marketing campaign is how many options you have. If you’re looking to save some money, simple postcards will do the trick. Have a bigger budget? Maybe a personalized letter with a coupon offer inside is more your style. Depending on how much you want to spend on a campaign, the possibilities are practically endless. Above all else, direct mail marketing campaigns are cost-effective and produce a higher Return on Investment. Direct Mail is the ideal marketing strategy for small businesses running marketing campaigns on a tight budget. Direct mail allows you to segment who you are sending to and marketing specially to those that will yield the highest responses. Commercial Mail houses can also help save tons of money on postage costs, driving expenses down and revenues up! Direct mail marketing has some pretty impressive benefits. And considering that 66% of consumers are more likely to use a voucher if they have a physical copy, a direct mail marketing campaign may be a great project to get started on. About 39% of customers say they try a business for the first time because of direct mail advertising. But in order for your direct mail flyer to be effective in attracting the customer to your product or service, it has to meet a variety of important criteria. Here are a few critical mistakes to avoid when designing and printing a direct mail advertisement. If you want to put in the effort of a direct mail marketing campaign, it’s crucial to state your company’s offer, loud and proud on the flyer. Give them a strong Call to Action, you want to give your prospect a reason to call now, not later. The consumer should never have to go looking for it — they’re likely to get frustrated and give up after just a few seconds. Similarly, try to avoid having a laundry list of terms and conditions below the offer. Yes, they serve a legal purpose, but if they look like nothing more than a massive block of text, the recipient may be turned off entirely, and your mailer will end up in the trash. Direct mail flyers need to be well-designed to be well-received by your potential customers. That means they should be appealing and stand out amongst the rest of your mail — no overtly clashing colors or crazy fonts. 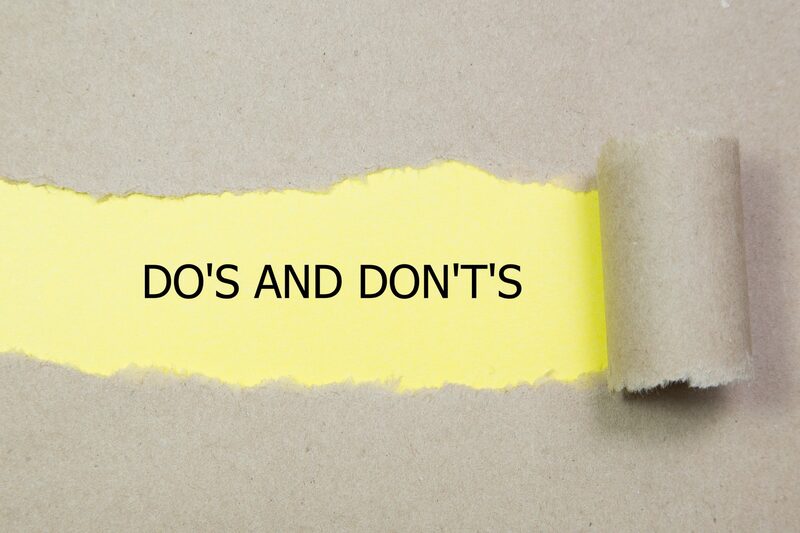 Keep it simple, keep it legible, but also make sure to keep it informative and exciting! Being able to incorporate personalization into your design and direct mail piece is key to the success of your campaign. Being able to say, “Hey John”, instead of “Hey You” when marketing to a prospect is much more impactful and will yield a higher response from your direct mail piece. You can even personalize the message, offer, or images to be more specific to the audience you are sending to, using multiple messages, offers, or images within the campaign. 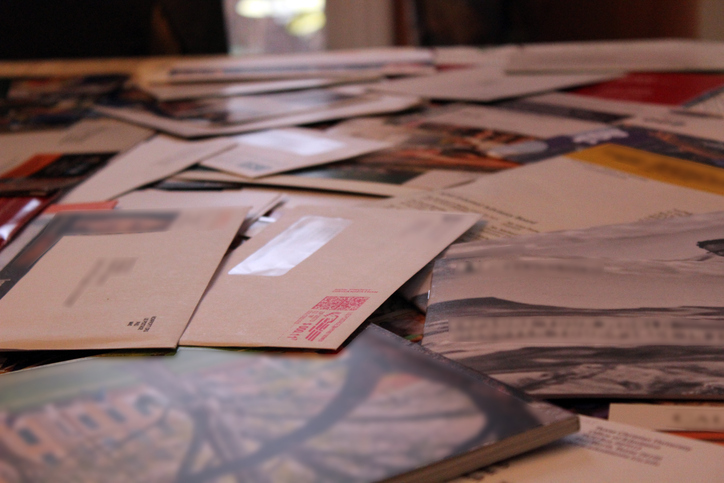 When it comes to marketing, too many people leave direct mail out of their plans. While social media can be a valuable part of a company’s marketing strategy, it can’t be the only means in which they market. Direct Mail Marketing is the only means that puts your marketing message into the hands of your prospect at the right time, making it the most valuable part of any marketing strategy. Not only does direct mail allow you to target who to send to, but it yields the best ROI out of any marketing strategy. So although many believe that because postage rates increase, printing is going to the way side, it’s not going to become obsolete any time soon. 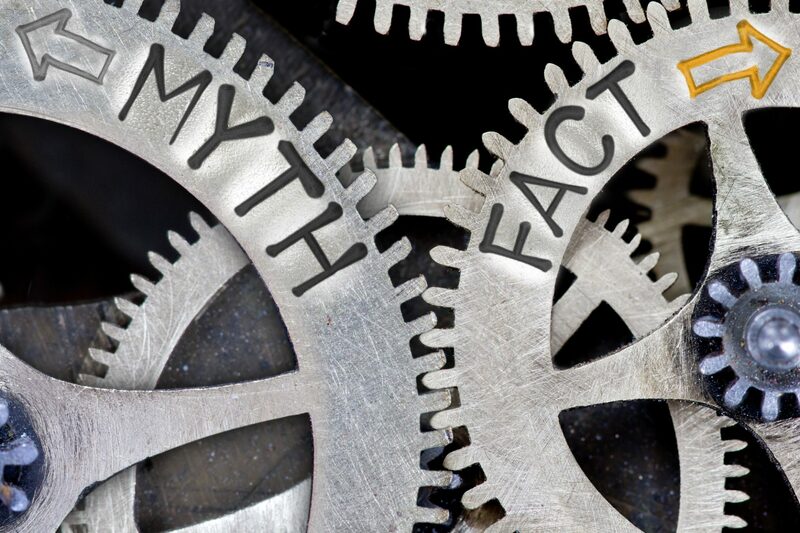 Here are some other common myths about the printing industry. Myth: Print ads are a lost art. Despite the fact that digital marketing is skyrocketing in popularity, people continue to enjoy reading printed content. And in many industries, direct mail marketing is still extremely popular as well (think retail, auto dealerships, and fundraising). In fact, thanks to low costs, direct mail marketing yields on average a 13-to-1 return on investment. That’s largely due to the fact that direct mail feels more personal than other forms of communication, and allows you to not only personalize your message to your audience but specially target who you send your piece to. Myth: Printing is harmful to the environment. This was a very popular myth years ago, but many people still seem to think this way. The fact is, all paper materials are able to be recycled and used again, unlike many other materials. Recycled paper can even be made into more paper and the majority of your commercial based paper has a recycled component. Also, most inks used on commercial presses are SOY based inks, making them much more environmentally friendly. Ultimately, the recycling technology that has been developed in the past decade has greatly decreased the carbon footprint of the overall paper manufacturing process. Myth: Printed materials are impersonal. Many people are quick to assume that a printed letter will always be less personal than, say, a handwritten letter, but that’s simply not the case. Variable Data Printing (VDP) allows you to easily customize your message for each individual recipient, and the resulting product is certainly more personal than a spammy email blast. Rather than an one-message-fits-all TV or radio spot, VDP allows people to carefully craft their message to be specific to the recipient. In addition to the message, you can also design a beautiful background image or graphic to take the personalization one step further. Ultimately, these are just a few myths about the printing industry. The fact is, direct mail has made a huge comeback, and while it’s true that digital marketing is gaining popularity, many people will always appreciate the personal touch that comes with direct mail marketing. At a time when we all spend hours of the day staring at screens, there’s always going to be something special about a physical message you can hold in your hands. For more information about Direct Mail Marketing in Tampa, contact Modern Mail and Print Solutions. How many people do you think look forward to checking their email inbox each day? How many actually pay attention to pop-up ads or digital advertisements? Even in our digital world, 40% of people under the age of 30 look forward to checking their mail on a daily basis. True, no one likes getting bills in the mail, but physical mail has become especially powerful in a world of constant, unrelenting, instant communication. That’s why direct-mail marketing continues to be a proven marketing technique that gets people’s attention. Taking advantage of direct mail to boost sales and engagement can be a fantastic strategy that’s not going out of vogue any time soon. The misconception is that direct mail is too expensive to implement, and is why some companies don’t try it. However, research shows that direct-mail marketing campaigns actually cost a fraction of what digital ad campaigns costs. By using printers that know mailing services, you can save even more by reducing the hard cost of postage. Utilizing a full service commercial print and mail house can make your direct mailers a breeze to execute and save you money. Keep reading to discover the benefits of this tried and true marketing technique. With the rise of the Internet, some over-eager futurists expected direct-mail marketing to go the way of the phone book. And even though digital marketing can be an effective and necessary part of any marketing strategy, sometimes a more classic approach is still the best way to reach new prospects. Indeed, direct-mail marketing provides about a 13-1 return on investment on average. Online, there are thousands of ads and spam messages competing for attention, but that’s not the case in your customers’ mailboxes. Over 90% of shoppers say they would rather receive direct mail in order to make purchasing decisions, while 65% are more likely to remember to use a voucher if they received a physical copy like a coupon to carry with them. 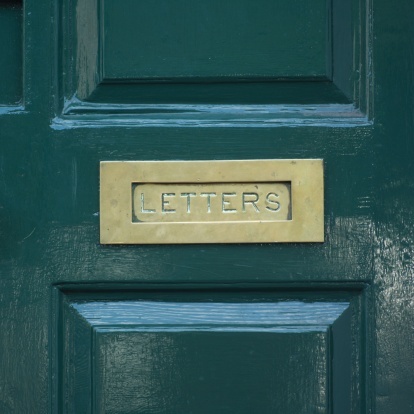 Overall, the average household response rate for direct mail campaigns is almost 4%. This is especially impressive, given that the response rate is only .2% for mobile, .1% for social media, and .02% for online advertisements. In fact, this technique can be so effective that even digital-first businesses use direct-mail marketing to great effect. USPS conducted a study that showed over 60% of those who received direct mail visited the website being promoted, and it had the most effect on first-time shoppers. So marketers are realizing by combining direct mail with an internet presence, that the direct mail can drive their prospects exactly where they want them to go online….increasing relevancy and response rates. But How Can I Save Money on Postage? As you can see, direct-mail marketing is an effective tool for marketers. Naturally, you want to try and keep your costs down, while increasing your response rates. With postage going up semi-regularly, marketers can be anxious about using direct-mail as their marketing means. However, there are ways to save on the hard cost of postage and generate higher ROI’s! The first way to save on postage costs is by utilizing standard class/bulk mail services. The United States Post Office offers a bulk mail/volume discounts for large mail jobs. If you’re mailing 200 pieces or more, you can save as much as $.28 in postage costs by mailing standard class. When mail houses are able to presort your mailing, the post office gives certain discounts on your postage. Another key way to save on postage costs is by utilizing the services of a commercial mail house to drop ship your mail. Drop shipping your mail to the Bulk Mailing Facilities is a great way to achieve postage discounts that most direct mail companies don’t offer with their package prices or even know about. In this situation, mail houses will process your mail and leverage shipping companies to delivery your mail directly to the local postal facilities close to the final destination…saving you postage costs while expediting your mail. Finally, you should find reputable printers near you that have their own mail house. Using a turnkey operation for your projects will not only save you time and money, but it will cut the middle guy out that typically is making money on your postage savings…putting your money saved back in your pocket! Don’t market to everyone; target specifically those that are your best prospects. New digital tools make it so easy to identify those target consumers. Rather than sending out a massive number of mailers to potential customers, savvy marketers are identifying likely customers ahead of time. Your best prospects are similar to your current customers, therefore leveraging experienced list companies allow you to target and identify your best prospects in your markets. 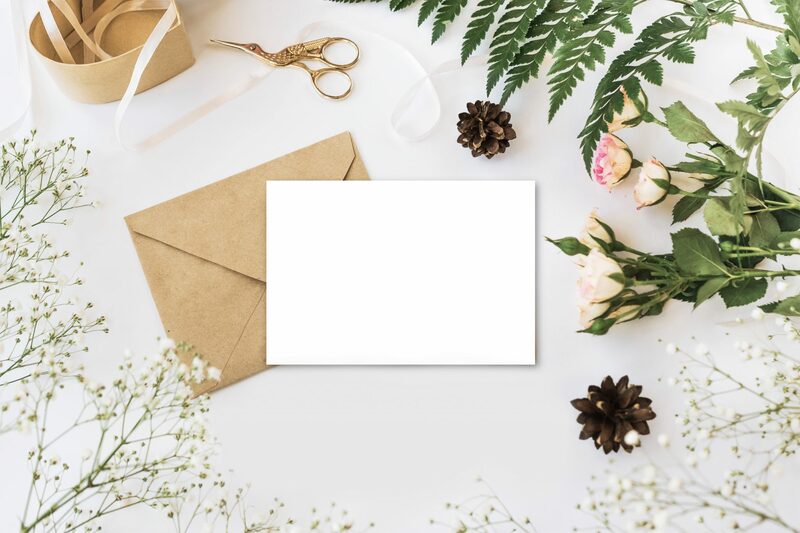 Then once you’ve identified your market, sending a personalized direct mail messages to them via a postcard or letter has shown to increase customer engagement and response rates. Variable data direct mail allows you to send personalized commination to the right prospect at the right time. Don’t discount the powerful effects of a direct-mail marketing campaign can have on your business. You might be surprised at the results! Looking for printers in Tampa? Get in touch with our marketing experts today for help with all of your printing and mailing needs. It’s no secret that our world is becoming more digital and technology-oriented every single day. These changes have altered the way people communicate with each other. It’s more important than ever before to understand the trends of millennials. Direct digital printing used to be the primary way to send and receive documents. Some even say that it’s slowly but surely becoming obsolete and unnecessary. Is that true? A whole 39% of customers say they try a business for the first time because of direct-mail advertising. That’s great but how many of those people are part of the older generation and how many are millennials? The statistics may surprise you. Many people are under the impression that millennials are too tech-savvy to concern themselves with anything but their mobile devices. That’s why marketers have altered the way they get millennials’ attention. They’re skipping direct mail and opting for emails and social media promotions. Since the Internet is an indispensable part of many people’s lives for nearly 20 years, businesses have had to change the way they conduct operations. An flyer advertisement in the mail is now sent as an email or even text promotion. But here’s the catch — direct marketing and digital marketing are not mutually exclusive. Businesses often use both methods as a means of reaching out to different audiences, and rightfully so, because they both drive sales to a certain degree. The thing is millennials’ shopping habits are equally split between online and in-store shopping. However, there’s no denying the advantages of being able to see certain products in the store before committing to buying them. The younger generations do prefer to have the option of shopping in a store and on-line. Ultimately, research indicates that direct mail may not be the only form to reach an audience anymore. Even if it’s still preferred by a good portion of the population, including millennials. The future of direct mail is unknown, but for now, businesses are doing their best to integrate both direct mail and digital marketing into one brand-driven customer experience. For more information about mail and wholesale printing services, contact Modern Mail and Print Solutions.